From May 23 through May 31st, stay 2 nights, get the 3rd night free. 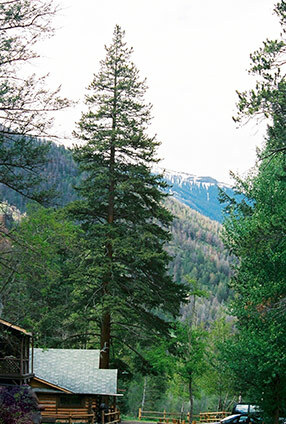 Absaroka Mountain Lodge’s cozy, rustic cabins near Yellowstone’s East entrance serve as a peaceful retreat from the crowds in Yellowstone. 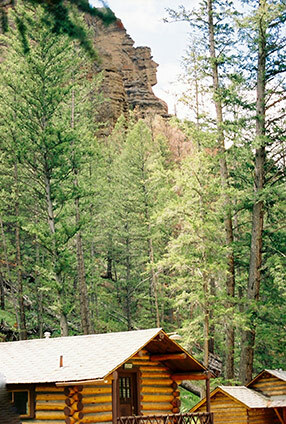 All of our cabins have heat, electricity, private bathrooms, mini-fridges and microwaves, and are non-smoking. (Smoking is allowed in designated areas only.) All the linens and towels are provided for you, as well as soap and shampoo. 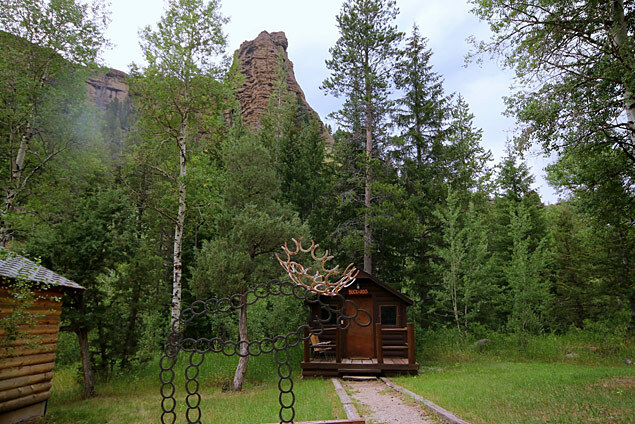 We also serve breakfast and dinner daily (see our Lodge & Restaurant Page,) at our cozy restaurant and have a picturesque mountain stream for your fishing and relaxation pleasure. Your adventure awaits! 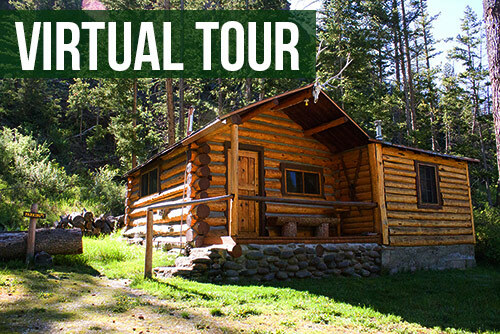 Here is a breakdown of our Yellowstone cabin rentals. Off season rates are in May and September. 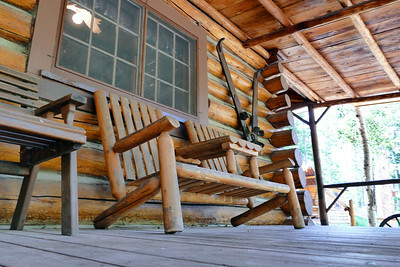 Click on the cabin number to view images of each cabin. 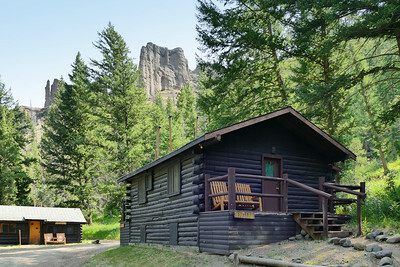 All of our cabins have carpeting, private bathroom, mini fridges and microwaves. No pets allowed. Off season rates in May & September. *Rates and activities are subject to change without notice. Check in is anytime after 2pm. Please notify us prior to make arrangements if you anticipate arrival after 9pm. Because we have a limited number of cabins and fill up quickly, please understand that we cannot hold a reservation without a deposit. RESERVATION REQUIREMENTS: 50% of your entire stay with the balance due on arrival. We take personal checks, Visa, Mastercard or Discover. If you need to cancel 30 days or more prior to your arrival, you will receive your deposit back less $50.00. If you need to cancel 4-30 days prior to your arrival, there is a $50.00 cancellation fee and your deposit will only be returned if we are able to rebook ALL of the nights of your intended stay. If you cancel 3 days or less prior to arrival: You will be responsible for 100% of your intended stay. This amount will be refunded less the $50.00 cancellation fee if we are able to rebook your cabin for ALL of the nights of your stay. CANCELLATION POLICY FOR MULTIPLE CABINS AND LARGE GROUPS: 50% deposit required with the balance due 30 days prior to your arrival. (The deposit is non-refundable unless we are able to rebook all cabins for your intended dates of stay.) If the cabins are cancelled within 30 days of your arrival, a refund, (minus a $50 cancellation fee for each cabin,) is only available if we are able to rebook all cabins for all nights of stay. Please note that these cancellation policies also apply to uncontrollable natural events. No pets allowed. We serve breakfast from 7am to 9:30am daily in our restaurant, and dinner from 6pm to 8pm.